Three weeks in the new house! In some ways it feels like longer, it really feels like home. There are random gray paint tests all over the walls, and we’re still unpacking boxes, but I feel like this house was made for us! We are so thankful for this beautiful house in a great location. Thankful for real estate prices in Kansas City – this house would have been 50% more in Austin, way beyond our price range. 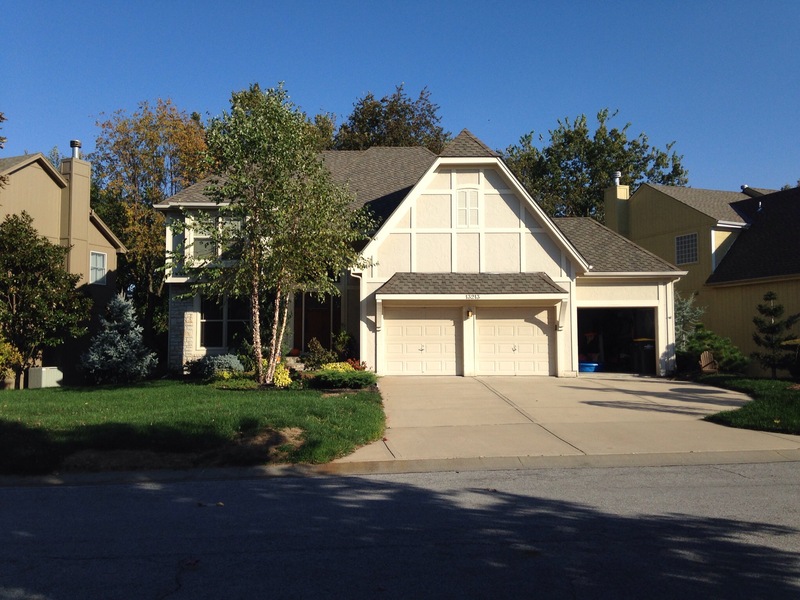 Highlights of the new house: three garages, big kitchen, tons of neighbor kids, basement and so much space! Low points: gnats, mice, and orange paint everywhere. The mice have been taken care of, the orange paint is next on the list, and the gnats on the screens are a mystery. We’re not rushing into too many activities, just trying to get to know the area. We’ve started MOPS at Olathe Bible Church, and that has been a great way for me to meet people and get some social events on the calendar. 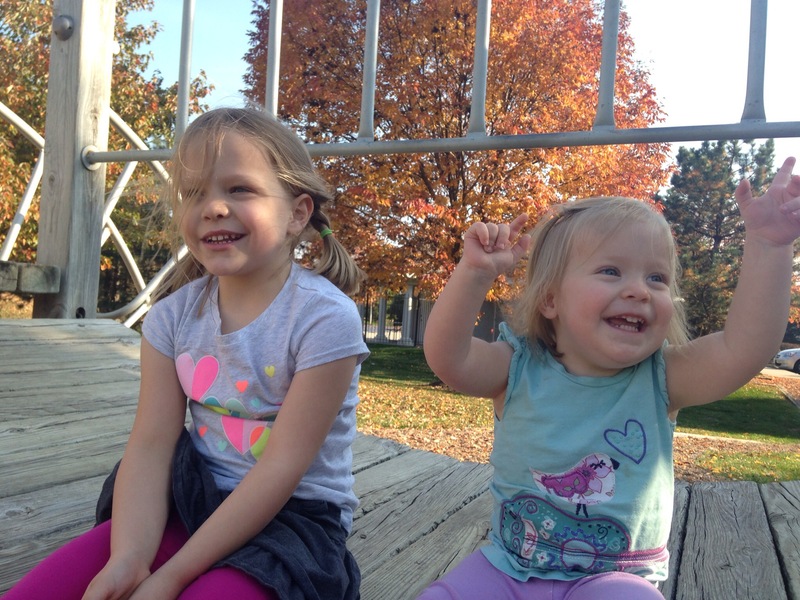 Hannah will be doing indoor swimming lessons in November, and both girls love playing at the neighborhood park. One of the new adventures here was putting the girls in a bedroom together. The adjustment has been much better than we expected! There have been a couple rough nights, but overall it has been an easy transition and the girls are very happy with the new arrangement. 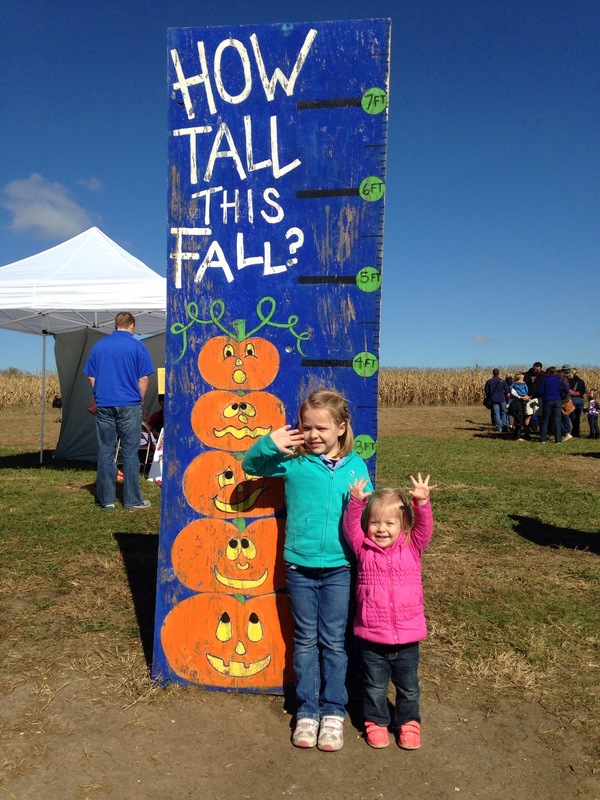 We’ve had time for some outside family adventures – a trip to the Louisburg Cider Mill, couch-shopping at Nebraska Furniture Mart, a high school football game tomorrow, a bonfire with friends this weekend and a trip to the infamous Deanna Rose Farmstead next week. We’ve already enjoyed more extended family fun, and we really appreciate those who traveled for the girls’ birthday party/new house workday. The girls are still a little startled at various times when the doorbell rings and it’s Grandma and/or Grandpa or Aunt Kristen, but they are so excited! Though the way the girls talk about my parents’ dogs… you’d think that was the reason we moved here, haha. So family life is good, Brett’s job is going well, and go Royals! We’re glad to have you here! Someone told me that the abundant and annoying little gnat things coming in through the screens (particularly at night to the light) have to do with the overly wet weather we’ve had lately. They lay their eggs in the top layer of moist soil and leaves. Lovely. I was wondering how your transition had been going!! :-) So glad to see you are settled in!